As Democrats spar over shifting the U.S. to a “green” economy, news broke that Saudi Aramco raked in $111 billion in net income in 2018. That means Saudi Aramco is the world’s most profitable company, and presents an inconvenient truth to politicians and environmentalists pushing for a “green” new world. The news might also give President Donald Trump leverage to push his “energy dominance” agenda, according to Dan Kish, a distinguished senior fellow at the free-market Institute for Energy Research. “With the Saudis pulling back the tent flaps, we can now see that President Trump’s policies of strengthening the U.S. energy system make total sense,” Kish told The Daily Caller News Foundation. The U.S. surpassed Saudi Arabia and Russia to become the world’s largest oil-producing nation in 2018, but Aramco’s staggeringly high revenues show there will be fierce competition to maintain global oil leadership. 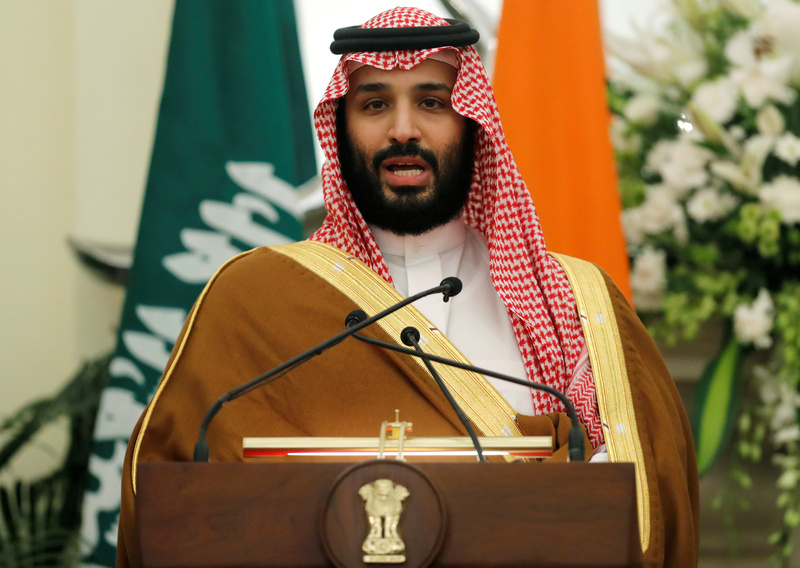 Saudi Arabia’s Crown Prince Mohammed bin Salman speaks during a meeting with Indian Prime Minister Narendra Modi at Hyderabad House in New Delhi, India, February 20, 2019. REUTERS/Adnan Abidi. “Economically, geopolitically and practically, this calls for more of the solid pro-American policies that are making our people and our companies stronger,” Kish said. The Saudis also hope the disclosure will help them list their IPO in 2021. Saudi Crown Prince Mohammed bin Salman sees a potential IPO as a means to diversify and modernize the kingdom’s economy, The Wall Street Journal reported. For Democratic politicians backing the Green New Deal, introduced by Democratic New York Rep. Alexandria Ocasio-Cortez, to wean the U.S. off fossil fuels in 10 years, it’s a reality check. “It says that there’s still a lot of profits in the world’s biggest traded commodity — petroleum — and that the downward price pressure on marginal costs remains enormous,” said Mark Mills, an economist with the Manhattan Institute. 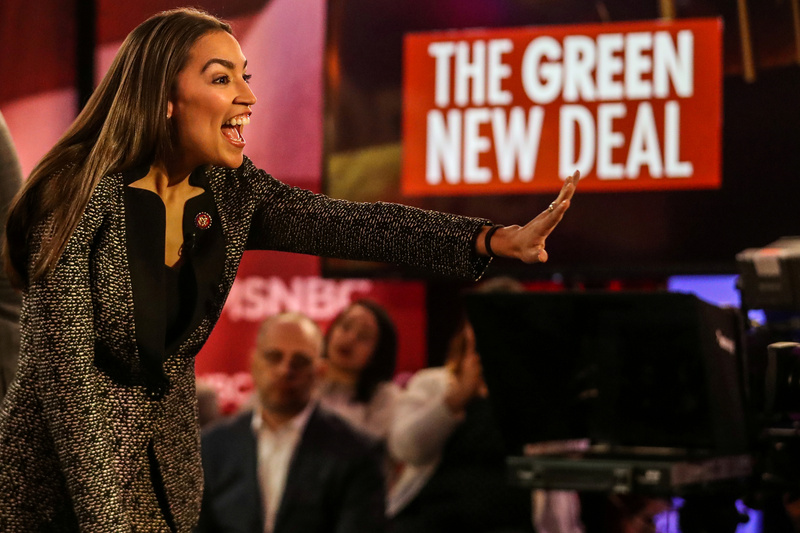 U.S. Representative Alexandria Ocasio-Cortez (D-NY) greets audiences following a televised town hall event on the Green New Deal in the Bronx borough of New York City, New York, U.S., March 29, 2019. REUTERS/Jeenah Moon. It is “not good for expensive competing alternatives taking significant market share aware from hydrocarbons — without huge, really huge, subsidies,” Mills said in an email. Mills, like many other experts, sees oil continuing to play a leading role in global energy, despite claims the world is in the midst of a “sustainability” revolution — a claim often made, for example, by former Vice President Al Gore. Mills published a report in late March laying out the problems with believing a “new energy economy” that eschews fossil fuels in favor of renewables is on the horizon. Aramco is the world’s largest oil-producing company, pumping 13.6 million barrels of oil and natural gas equivalent per day in 2018. The company estimates its total hydrocarbon reserves to be 257 billion barrels.